There’s been a bit of growth in craft breweries here in Northwest Arkansas, and it’s been fun to sample all of the new beer. 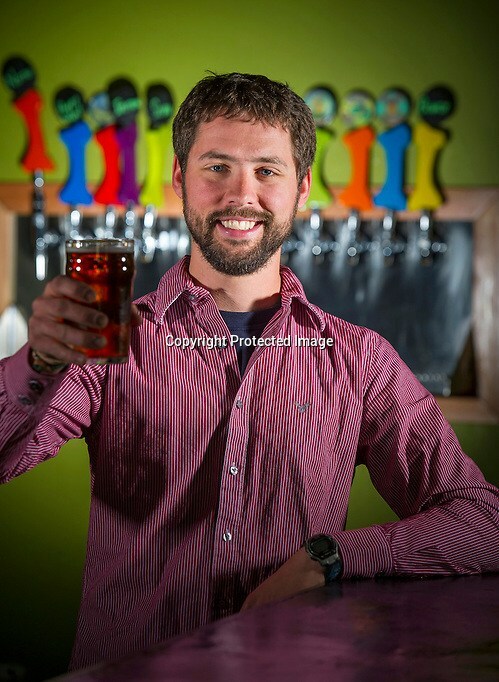 I met Ben Mills, owner of Fossil Cove Brewing Company when I was asked to photograph him for an article on the growth and current beer laws. The brewery is two rooms: one for making beer and the other for drinking. It’s a simple set-up but is quite cozy and colorful… definitely a fun place to hang out. If you stop by, make sure to pet his dog Barley because she’s a sweetheart!